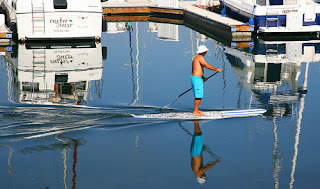 Gulf Shores Boat and Paddlesports Rental: Fun things to do in Gulf Shores: Rent a paddle board and explore! 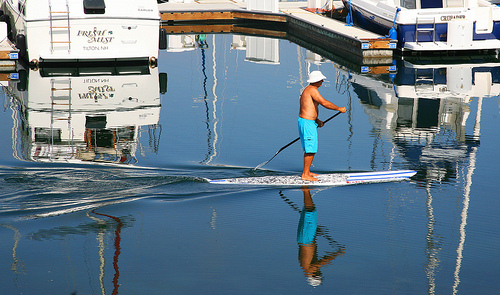 Fun things to do in Gulf Shores: Rent a paddle board and explore! A fun thing to do in Gulf Shores is rent a paddle board! All you need to do is call us and we'll deliver your board and set it up for you. We'll also give you with some basic instructions and we'll pick up your board when your rental is over. Stand up paddle boarding or "SUP" is rapidly becoming a popular activity in Gulf Shores and Orange Beach. Whether you're really active, or just someone who wants a fun way to get a little exercise while on vacation, paddle boarding is ideal for you. It's easy to learn, safe, and a great way to explore beautiful new places you haven't been before.